Top 20 Retail Events that can help you learn, network, and grow. Vend's top picks for retail conferences and expos. Running a retail store isn't just about standing behind the counter and ringing up customers. You also have to get out there, see what's happening in the retail industry, make friends with your peers, and shop around for cool products or solutions that can make your store more awesome. That's why we created this list. Here you'll find retail conferences and expos from all parts of the world covering an array of topics including retail technology, design, marketing, and more. Whether you're looking to improve the look of your store, beef up your digital strategy, or are simply shopping around for new tools, this list has something for you. Known as the NRF's flagship industry event, Retail's BIG Show is a 3-day expo and conference held annually in New York City. Most people in the industry regard it as the biggest event of the year because it draws tens of thousands of retail professionals, thought leaders and vendors from several industries. 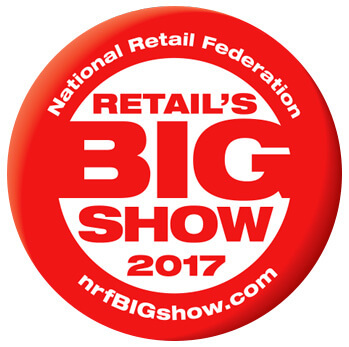 NRF BIG Show is your one-stop shop conference for everything retail. It covers every aspect of running and growing a store—from marketing and brand management, to merchandising, mobile retailing, store experience, and more. It's also THE event to see and be seen. Whether you're looking to network with fellow retailers, vendors, retail authorities, or all of the above, you'll be able to connect with them at Retail's BIG Show. "NRF BIG Show is our flagship event. It is a one stop, must attend event for retailers looking for the latest and greatest in retail solutions. We combine an enormous EXPO Hall, education, networking, and even our Student Program which is helping to shape future retail leaders with the help of current retail leaders. As we are member driven, and are the world's largest retail trade association, our reach is unparalleled and this event is the only of its kind. This is why it has been nicknamed Retail's BIG Show." Variety is the name of the game at ASD Las Vegas. The largest and most diverse general merchandise buying show in the US, ASDLV brings together suppliers from several categories, including gift and home, fashion accessories, jewelry/cash and carry, health and beauty, value and variety, toys and novelties, and more. Buyers from department stores, convenience stores, fashion boutiques, and general stores flock to this event every year, and for good reason: ASDLV is every wholesale and retail buyer's heaven. This event showcases vendors across various categories, so if you're looking to spice up your inventory, bring in some new products, and get a firsthand look at some new and unique products in the market, this is the place to be. 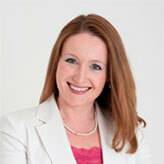 "Attending ASD offers buyers the opportunity to cut down on the number of trade shows they have to attend each year. We understand you might have to go to a core trade show in your industry, but ASD is the perfect complement to round out your buying efforts. Here you can shop and compare from a variety of categories in one efficient expo." Dx3 Canada is a 2-day event that draws retail specialists, digital marketers, and brand reps for networking and education. It's an excellent conference and tradeshow that's focused on digital marketing, digital advertising, and - more importantly - digital retailing. 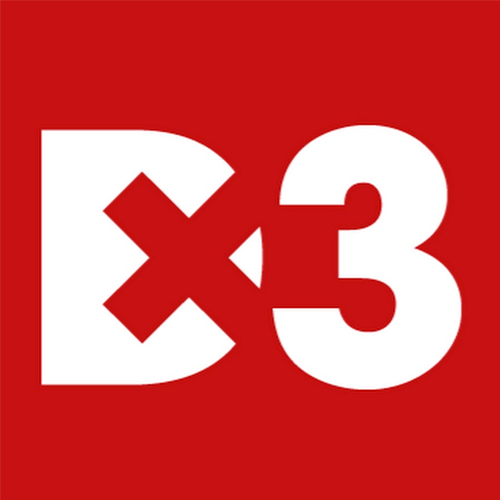 Dx3 enables retailers, online marketers, brands and publishers to mix and learn from one another. You should consider attending if you're doing business in Canada and if you're looking to ramp up your retail store's online presence. The Retail Business Technology Expo is for European businesses in the retail, hospitality and leisure sectors who want to keep themselves abreast of the latest products, services, and solutions in the market. It also offers numerous conferences and seminars where attendees can learn about the future of the industry and the solutions and strategies they need to adopt in order to keep up. If you're a European retailer who's in the market for innovative tools, services, and other solutions that can help you grow your business, boost productivity, and enhance the customer experience, there's a good chance you'll find what you're looking for at this event, thanks to its great selection of exhibitors. If you're in it for the learning experiences, then you'll be pleased to know that RBTE is also packed with conferences and seminars that cover issues in various categories including ecommerce, finance, marketing, merchandising, supply chain, and more. 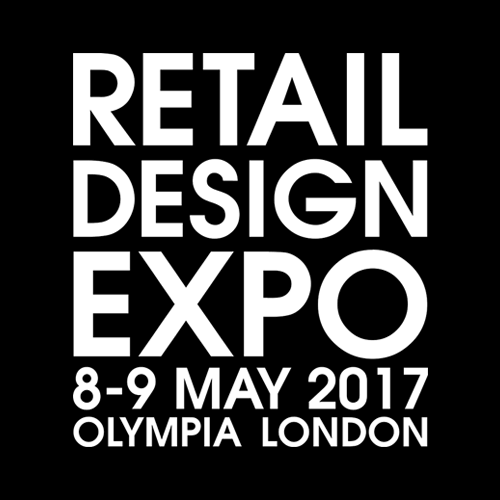 Co-located with RBTE is the Retail Design Expo, which brings together over 100 exhibitors from all branches of retail design, marketing and visual merchandising. Experience new innovations, ideas, materials, structures, fixtures and fittings. The Retail Design Expo is a "can’t miss" for retailers, marketers, designers, and shopfitters. The event will give you plenty of ideas and inspiration to help you refresh the look and feel of your store. Attend the event to get a closer look at the latest retail design trends and best practices that are turning heads and getting people to shop. Retail Week Live is a well-rounded event that can give attendees a balanced view of what's happening in retail. It welcomes small and large merchants for two days of education and networking. Retail Week Live has something for everyone, from small enterprises to large businesses, and local merchants to international retailers. 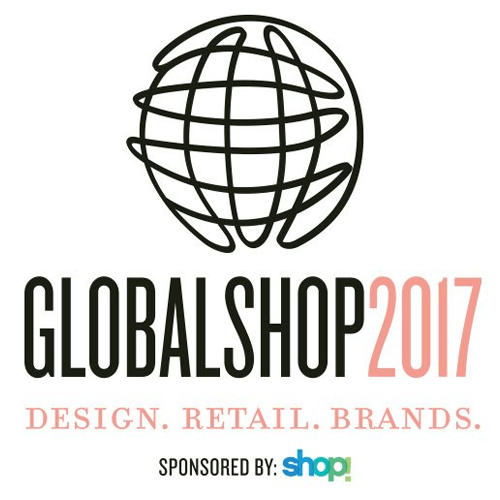 GlobalShop is the largest annual store design and visual merchandising trade show in the world. It showcases the widest selection of store fixture companies and in-store solutions, as well as informative keynote sessions to give you the knowledge and tools you need to improve your shop. Whether you're looking for new ideas to innovate your store, are shopping around for in-store solutions, or simply want to keep yourself abreast of the developments in the retail design and visual merchandising, GlobalShop can certainly give you the fix you need. GlobalShop is divided into five sections, namely The Store Fixturing Show, The Visual Merchandising Show, Store Design and Operations, The Digital Store and At-Retail Marketplace. 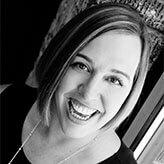 It's essentially five shows in one great event, so no matter what your retail design needs are, you can bet that you'll find it here. The World Retail Congress event brings together over 1,000 global retail and industry leaders to discuss and debate the demands of the modern consumer and the future of retail. Dubai will be the 10th edition of the Congress since its launch in Barcelona in 2007, and it’s the second time the event will be held outside of Europe. 2017’s theme will focus on how retailers can utilise new channels and technologies to truly connect with consumers in more meaningful and personal ways. The event promises to draw on regional specialisms including developing effective relationships with brand licensing partners, ‘retail-tainment’ and duty free retail. Network with retail leaders and decision makers from more than 65 countries. Seamless brings together professionals from the payments, ecommerce, and retail industries. This event is the key meeting place for anyone looking to learn more about the future of commerce. Payments is a big component of any retail operation, which is why it’s important to keep yourself abreast with any commerce-related developments in your space. Seamless is an event that can help you do just that. Not only will it give you insights into the payments, ecommerce, and retail industries, and but Seamless offers the opportunity to connect with key individuals in your space. NG Retail is a one day invitation-only summit that brings together senior retail executives to discuss and debate the future of retail technologies. This event offers a collaborative approach to learning and high-level networking amongst 65 industry peers. Tailored individual programmes for delegates will ensure engagement remains high throughout the entire summit experience. The Internet Retailing Expo has presentations, exhibitors, and workshops all geared towards helping merchants interact with consumers across multiple channels. Speakers from some of the world's top companies take the stage to give insights on how retailers can compete and match their multi-channel strategies. As Ian Jindal, Editor-in-Chief of Internet Retailing put it, Internet Retailing Expo can give you a "full view of the multichannel ecosystem." Any retailer who wants to establish an omnichannel strategy should consider attending. IRX 2015 for instance covered six key aspects of retail: International and Cross Border, Insight and Experience, Mobile in Multichannel, The Omni-Channel Store of the Future, Digital Sales and Marketing, and Multichannel Merchandising and Selling. If you think that sounds great, just wait until next year. IRX 2016 promises an increase in floor space and scope and will tackle the hottest issues surrounding multichannel retailing. If you’re looking to learn more about omnichannel retail, Seamless is for you. Boasting a large exhibitor hall and educational sessions, this is the event to attend for exposure to what solutions you should be investing in to deliver the ultimate omnichannel customer experience. This event brings leading technology innovators together with brand and enterprise leaders from around the world for two-days of information sharing and networking. The ICSC Retail Real Estate Convention brings together retail and real estate professionals for networking, deal-making, and learning. The event attracts more than 32,000 attendees and 1,000 exhibitors, making it one of the largest retail real estate conventions around. Looking to expand? 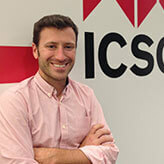 Scouting for new locations for your brick-and-mortar store? Then put your networking / deal-making cap on because RECon can put you in touch with numerous retail real estate pros who can help with your expansion. In addition, the event is also packed with sessions that can educate you on retail trends, technologies, and more. 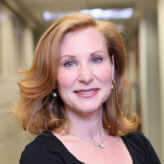 "ICSC RECon is the largest gathering of retail real estate professionals in the world and offers industry professionals with unparalleled networking, deal making and educational opportunities. It is the one time per year that all of the major industry companies are under a single roof - so for retailers looking to expand their presence in shopping centers it offers unmatched accessibility to their leasing counterparts from the landlord side. We estimate that nearly 50% of industry deals are conceived of or consummated during RECon." 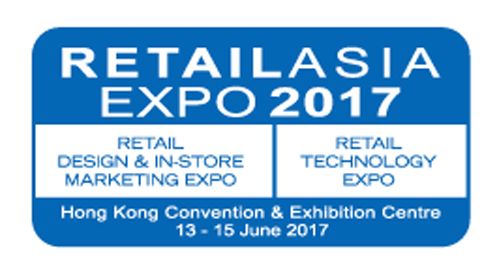 The Retail Asia Expo is a trade show and conference for retailers in the Asia Pacific region. The expo floor features retail products, services, and technologies from more than 150 exhibitors and it also holds networking and learning opportunities through seminars and events. This is an awesome event for Asia Pacific retailers looking to shop, network, and learn. It features an award-winning exhibition that covers four main areas: Retail Technology, Retail Design & In-Store Marketing, Ecommerce World and Retail Property. It also provides plenty of opportunities to learn thanks to its various seminars on ecommerce as well as retail design and marketing. Looking to network and mingle with your peers? You'll be able to do that as well at the gala dinner, cocktail reception, and retail awards. Retail’s Digital Summit is a key event for anyone who wants to learn more about ecommerce, online marketing, and mobile commerce. Attended by thousands of retail professionals annually, this event offers educational and networking opportunities for merchants of virtually any size or industry. While physical stores will continue to be an important component of retail, we cannot ignore the rapid growth of digital channels such as ecommerce and mobile. If you’re looking to educate yourself about the ins and outs of digital retail, then this event is for you. The Retail Conference is a content-rich event that features an array of seminars, workshops, panel discussions, and networking opportunities for retailers. This year's theme is The Future of Retailing in the Digital Age, exploring everything from omni-channel customer experience and property to the built environment and sustainability. Unlike other events, which are packed with exhibitors trying to sell things or push their brand, The Retail Conference provides an environment wherein participants "would not be aggressively sold to by a plethora of exhibitors or nonretail attendees." Each sponsor is carefully selected and is advised to avoid the "hard sell" and instead opt for a more consultative approach. Oh, and did we mention that The Retail Conference is free to retail employees, directors, and owners? "The Retail Conference is an established event on the retail calendar and has attracted up to 300 attendees in past years. The event has evolved over the years, in response to delegate's feedback, but ethos of providing a quality, content-rich event has been maintained." Known as Australia's largest ecommerce, digital marketing and technology event for the retail industry, the Online Retailer Conference and ecommerce Expo draws more than 2,200 retail professionals to mingle, learn, and shop. The event gives you the chance to pick the brains of retail experts from all over the world so you can learn about the best digital and multichannel strategies to implement in your store. You can also participate in workshops to better understand the most innovative technologies and strategies in retail. And if you're shopping around for brand new products and services, step into the exhibition that features more than 140 vendors and explore their solutions for your store. Presented annually by VMSD magazine, the International Retail Design conference is 3-day event that revolves around emerging trends and strategies in store design and visual merchandising. With numerous sessions, networking opportunities, and roundtable discussions, you'll definitely leave the conference with fresh connections and ideas that you can harness to create a more compelling store design. Setting up a new business in the UK? Be sure to check out Business Startup. 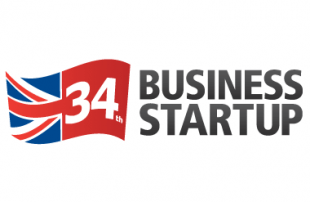 Known as "the UK's biggest exhibition for anyone starting or growing a business," this event has everything you need to launch and develop your startup. With 250 seminars, 350 exhibitors, and 12 workshops to attend, you'll leave this event hyped to build and grow your company. Plus, get a chance to pitch your business at the Angels Den, where wealthy individuals looking to invest are just waiting to hear what you have to say. You can also participate in training sessions, speed networking, and other activities that'll enable you to grow your contacts, knowledge, and business skills. 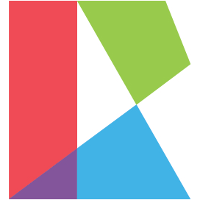 The IRC is the only conference that exclusively supports independent retailers. Open to any type of independent retailer, the event covers various issues surrounding store operations, marketing, management, merchandising and more. While other events cater to various types of merchants, the IRC focuses solely on independent retailers so if you own or run an independent store, you can be sure that you'll be able to get some highly relevant insights from this conference. In addition, the Independent Retail Conference will enable you to network with thought leaders and key companies that can help you thrive in the independent retail sector. "Unlike other conferences, the IRC exclusively discusses the challenges and real life issues independent merchants have - not their big box competitors. I believe the IRC offers a great way for retailers to gain new momentum, exhilaration and excitement to bring back to their stores - something any small business owner can appreciate." Connect with a community of 20,000+ Vend retailers.